Dawn Hughes is 17 has been living on the streets for 6 months now. The only things she learn in that time was trust no one and how to work a switch blade knife. Dawn spends most of her time competing in underground fights just to feed herself. One night when she's huddling in an alleyway trying to stay warm a man approaches her. Dawn sensed there was something strange about the man with the top hat and cane. He looked no older than 25. The man tells her about a school that will allow her to attend for free with no catch. After much convincing, Dawn stood in front of an elegant school. Dawn only thought she would have to deal only with preps and jocks, but nothing could prepare her for this. And not even her switch blade can help her. Oriane Moore, the new addition to the Diana Mist College, recently discovered that she is a witch. Or more specifically, a so-called 'elemental'. It's changed her life completely. Aside from the usual hocus pocus, hexes, and talking pets, Oriane, like her fellow classmates, is supposed to have control over at least one of the affinities: Fire. Water. Air. Clay. Energy. It's bad enough being the new girl in town, but to make things worse, she hasn't discovered her affinity yet. Which makes her... pretty much human in a school full of the supernatural. While she tries to come to terms with her new identity, an imminent threat lurks in the corners of the serenely composed school. Life is tough at 'Mystic High'! © Ivana Keynes. All rights reserved. January 2015. Alexis Reid is not a normal girl... She lives in the world of the supernatural. Alexis is a hybrid of the werewolf angel kind her mum is lucifers right hand and head of the Angels of hell or also known as the fallen angels, her dad is the alpha of the second most powerful pack in the world making her a deadly combo but nobody know that they only know she is the alpha daughter her brother who hates her is in line for the title... For Alexis everything has being pretty normal these past four years since she moved in with her dad until now... Alexis boyfriend cheats on her her mate rejects and she runs away ... What's going to happen when she moves back in with her mother lucifer and all of lucifers kids in hell? Short scary stories that will chill your bones. Isabella, future queen of Gardia, unlike any lady of her time, is no damsel, but a fierce warrior. Though respected by men and shunned by women she fleetingly wonders what it would be like to fall in love. The Head Knight of Jaria, enemy nation of Gardia, Aiden has resented women for most of his life and relishes in the fact that his job keeps him out of their conniving clutches. What happens when war threatens and stoic Aiden meets the formidable Isabella? Sparks fly in more ways than one. Ok, you go to this boarding school but it ain't any ordinary boarding school it has fairies, witches, vampires, werewolves and this extremely rare  supe called a Dewilia which has every single power. Paige Nills is a Dewilia will she fit in or stick out ding out in this adventure through school as a supernatural freak. When a young human girl Hailey Newart gets bitten by a vampire near her home, her whole world is turned upside down. She wakes up changed on the edge of the forest, no longer fitting into the mold of our society. So she goes to the only school left in the US that accepts vampires, Supernatural Academy. Now, she is the Earth's most dangerous and the most extinct predator. Her kind is no longer welcome anywhere since The Great Hunt, in which the most was killed. From the moment she turned, she began attracting unexplainable events, gaining powerful enemies, and finding some love along the way. 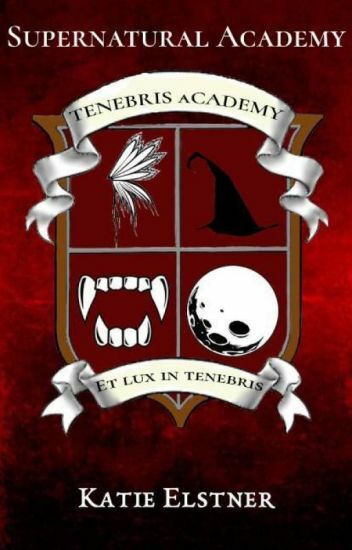 Sequel to Supernatural Academy. Don't read if you haven't read that because it will make no sense. Ever since Dawn Hughes left the academy she felt as if something had been missing from her life. A meaning. A purpose. Seven years has past and she can still be found in the same crummy apartment building that isn't as nice as it was before. Working impossible hours at her dead end job just to stay afloat in the fast pace of the city. Not to mention the same recurring nightmares of that night. At first they were yearly, then monthly, weekly, and now daily. Her past was haunting her as she tried to run from it. But when her past finally catches up to her, it becomes deadly. She had tried to forget the bad but remember the good, she couldn't do both. Ten years ago Anya Royce leapt from a bridge after relentless bullying. She died that day, with not even her werewolf healing able to save her, only to become a reaper. Changing her name and everything about herself, Grim now spends her days collecting souls and . . . waiting to collect souls. She has a mundane and emotionless life, filled only with the dead, and she's rather content. That is until, her undead life is interrupted when death is literally stopped. Grim is thrown from her realm and back into the human's to reinstate death. The only problem? She's sent back down to her pack, with the mate who rejected her and the bullies that pushed her off that bridge. Not only does she have to deal with a necromancer who has a dangerous amount of power and a guilty mate begging for forgiveness, she also has a sly and very smart hidden enemy, who won't stop until she has Grim and everyone else under her manicured thumb. Rest In Peace- Ha, she wishes! When Lily's parents send her off to a new school she descovers that the school is for...... different teens. by different teens, she means kids who wield powers of elements. fire, water, earth, light, wind, and spirit. what's even more different about the teens is that their eyes are the colour of the elements they wield even though lily doesn't wield any elemental powers she feels drawn to everything, and she soon finds out that she does wield element powers. But what she does not realise is that she wields all elements even few that we are not sure even existed. but they do, inside lily. but with this kind of power that lily has and is it safe for her and the people around her to keep them contained.